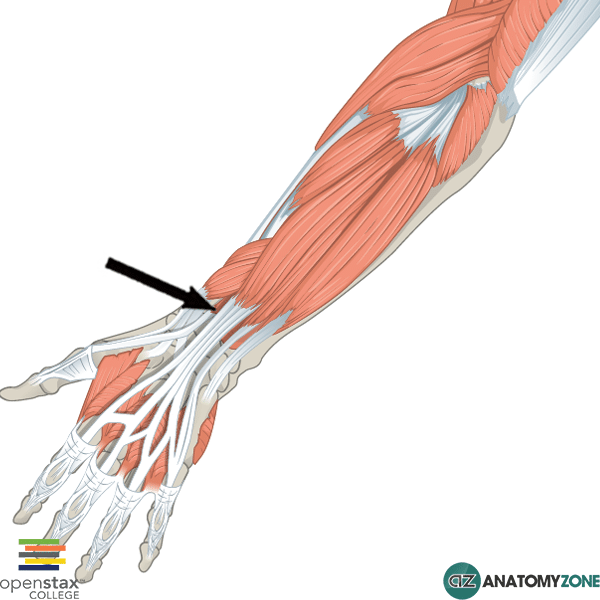 The structure indicated is the extensor pollicis longus muscle of the posterior forearm. A fall onto and outstretched hand often results in fracture of the scaphoid bone. Tenderness in the anatomical snuffbox after a fall onto an outstretched hand is often indicative of a scaphoid fracture. Action: Extends distal phalanx of thumb at carpometacarpal and interphalangeal joints. Weak extensor of wrist.